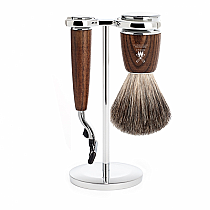 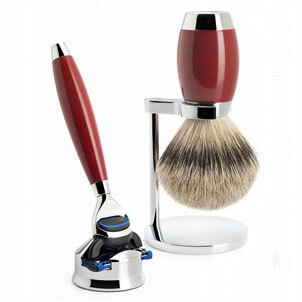 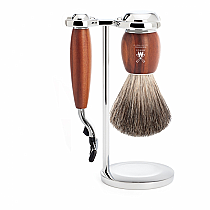 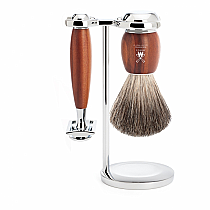 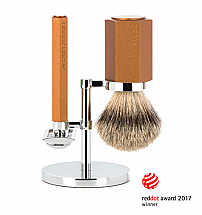 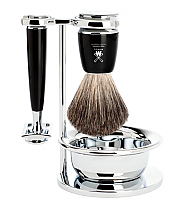 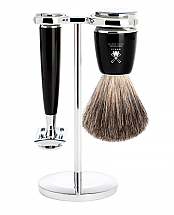 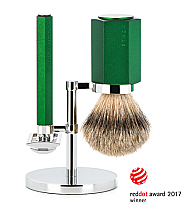 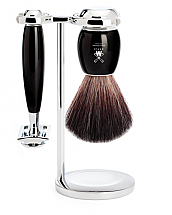 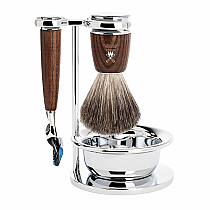 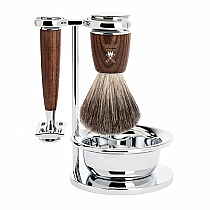 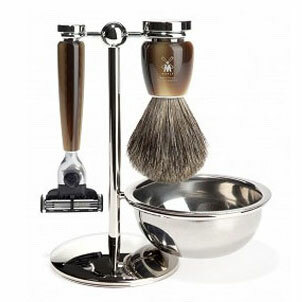 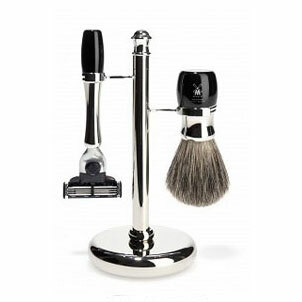 A shaving kit in a conical shape: The result is a revolution in the history of wet shav ing products. Our STYLO series combines chrome with high-grade resin, African Blackwood and thuja, also known as the tree of life. African Blackwood is highly water resistant by nature. Thuja surfaces are sealed in a special process and therefore absolutely 100 percent water resistant. 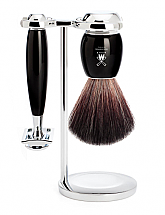 This series offers interchangeable brush heads in three hair grades: silvertip, fine badger and synthet- ic, as well as three different shaving systems.